A three-year-old leopard died after getting caught in a trap laid by poachers to catch a wild boar in Badmal forest range in Odisha’s Bolangir district on February 5, 2019. The leopard was stuck in the iron trap unattended for hours together and in the struggle to get out its left leg had been dismembered. “The leopard had also sustained deep wounds in other parts of its body while trying to escape from the trap laid by poachers to catch wild boar,” said Rashmi Ranjan Nayak, divisional forest officer, Bolangir. “Forest officials have launched an operation against poachers. Also, an autopsy would be conducted and we have registered a case under provisions of the Wildlife Protection Act,” added Nayak. 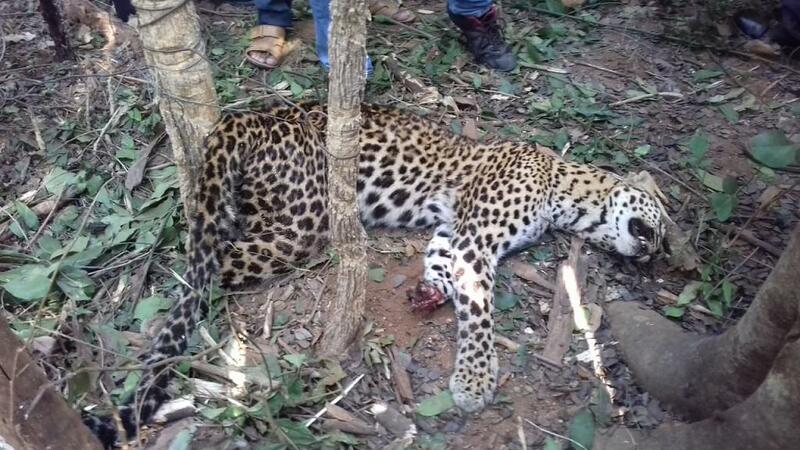 This is the second incident of unnatural leopard death in Odisha within three weeks. On January 16, 2019, a carcass of a leopard was found floating in Rengali reservoir under Khamara forest range in Angul district. Before that, on November 14, 2018, one more leopard was found dead near the Hindol-Narsinghpur border of Satkosia Tiger Reserve (STR) in after getting caught in a trap laid by poachers. Leopards are protected under Schedule 1 of the Wildlife Protection Act, 1972. “Leopards have been targeted by poachers for their expensive hides and other body parts. There’s a rise in poaching cases, which is also indicative of more demand from the international illegal trade market,” said Biswajit Mohanty, environmentalist and secretary of Wildlife Society of Odisha. Mohanty blamed the forest officials saying they were grossly negligent towards checking the spreading of traps in the forest to kill animals. “The illicit international demand for big cat skins, bones and other body parts for use in traditional oriental medicine, continues to be the main reason for poaching. At least 260 leopards were poached in the country between 2015 and 2018, as per information given to Parliament by the Ministry of Environment, Forest and Climate Change (MoEF&CC) in December 2018,” added Mohanty.